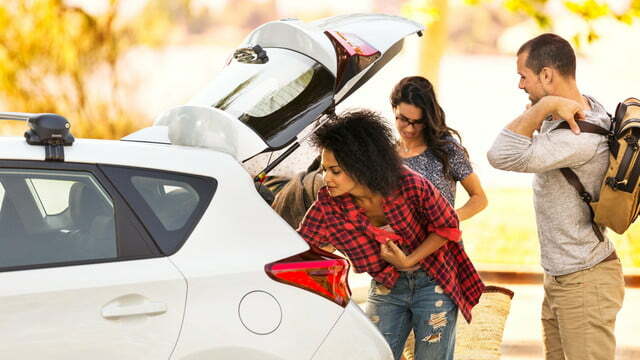 With few changes since 2017, the 2018 Toyota Corolla continues its success as the company’s second-best-selling vehicle. In 2017 the Corolla underwent a significant styling redo for a sportier exterior look. Last year’s Corollas also gained the full Toyota Safety-Sense P (TSS-P) menu of safety features now standard on all Toyota models. Without a doubt, Americans buy more new pickup trucks than cars or SUVs. That being said, Toyota nabbed the top two spots on the 2016 best-selling cars list, the latest reported full-year model sales. Toyota’s Camry and Corolla were the fourth and fifth best-selling rides of all types for 2016, selling 388,618 and 378, 210 units respectively. The new 2018 Toyota Corollas are on dealership lots now with nine different trim levels. 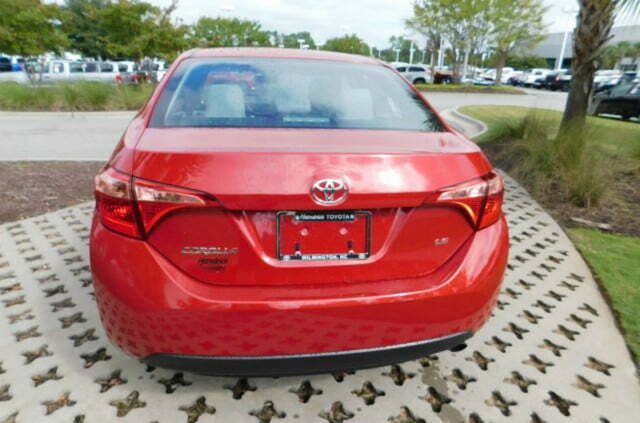 The Corolla nameplate is on seven sedans and two hatchbacks. There are only two announced changes in the Corolla lineup for 2018. All new Corollas have illuminated visor vanity mirrors for the driver and front passenger. 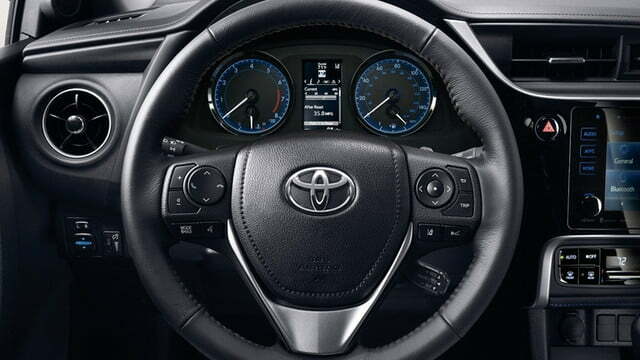 Also, a new leather-trimmed 3-spoke steering wheel with controls for audio, the Multi-Information Display, Bluetooth hands-free phone and voice command is now standard equipment on 2018 Corolla XLE and SE models. 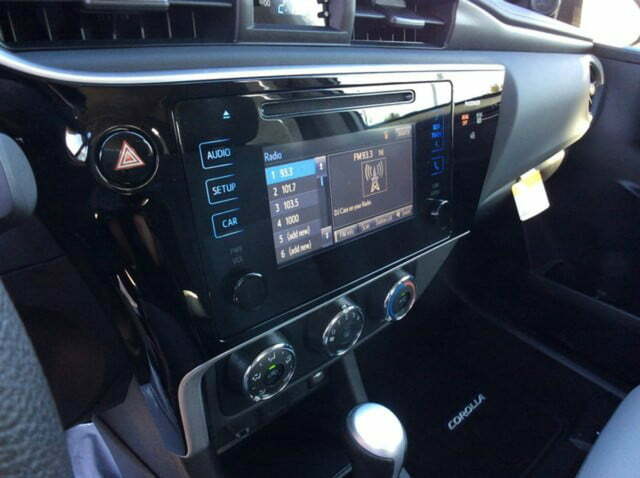 That’s the extent of the Corolla’s changes for the new model year. But every model year doesn’t require huge changes for every model. This year it was the Camry’s turn. 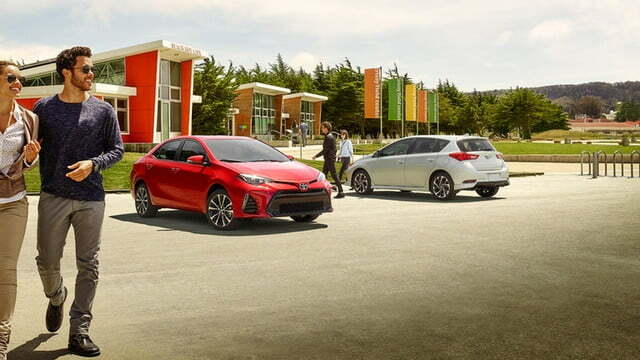 The Corolla continues to be a class value leader and one of the top-selling vehicles of all types in the U.S. — there is no argument with success. 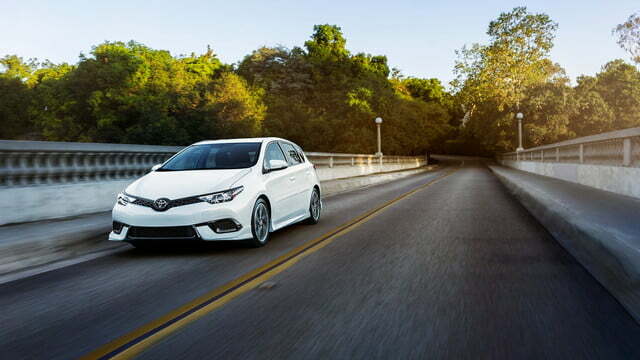 The Corolla compares well with other mainstream four-door sedans including many “full-sized” models. 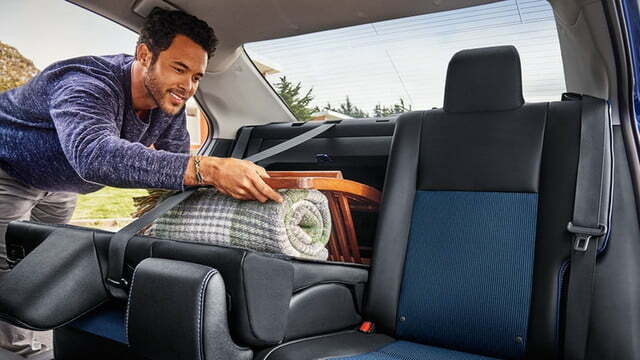 Shoppers can tick Corolla’s boxes for comfort, convenience, tech, safety features, quietness, and fuel efficiency in their search. 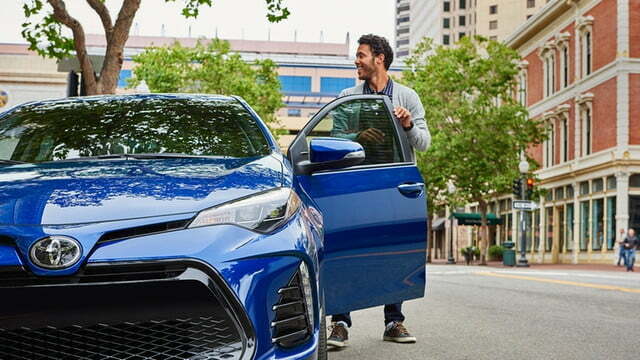 The model also benefits from Toyota’s brandwide reputation for reliability and higher than average resale value. 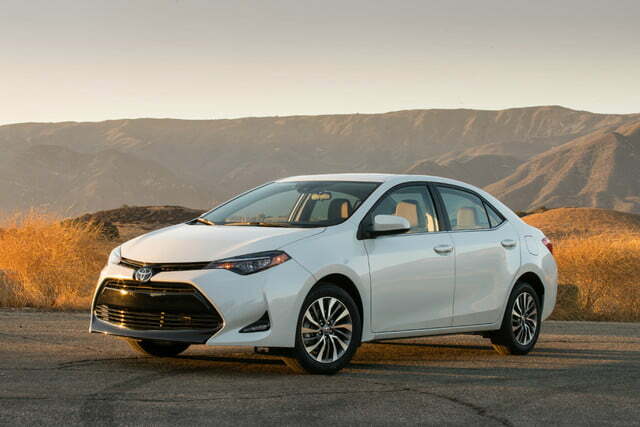 While there is clear differentiation in the brand’s lineup between the Corolla and Camry, see our comparison of the two at the end of this article. For 2018 Toyota Corollas models and trim level have one of three 1.8-liter dual overhead camshaft 16-valve motors. The three engines are tuned slightly differently, and use one of two computer-controlled variable valve timing (lift and phasing) profiles. 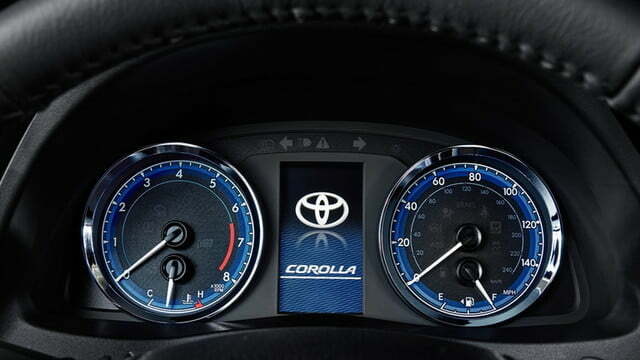 According to Toyota, the difference between Dual Variable Timing with intelligence (VVT-i) used with all other sedans and hatchback Corollas, and the LE Eco’s Valvematic timing is the latter’s broader adjustment range. 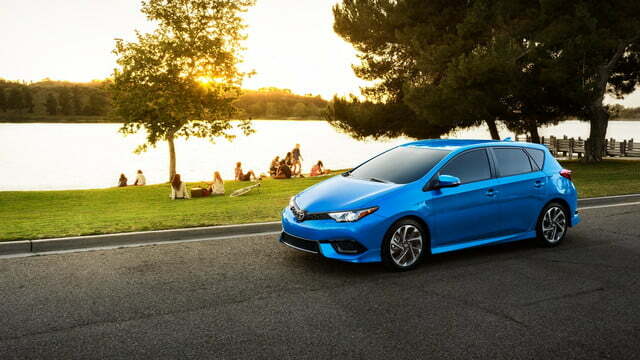 The motor in all Corolla sedans except the LE Eco produces 132 horsepower @6,000 RPM and 128 pound-feet of torque @4,400 RPM. The LE Eco, in its role as the economical front-runner of all 2018 Corollas, 140 hp @ 6,200 RPM and 126 lb-ft at 4,000 RPM – so you get a bump in pull but a slight drop in pulling power (not to be confused with towing, plus the wider valve timing range. 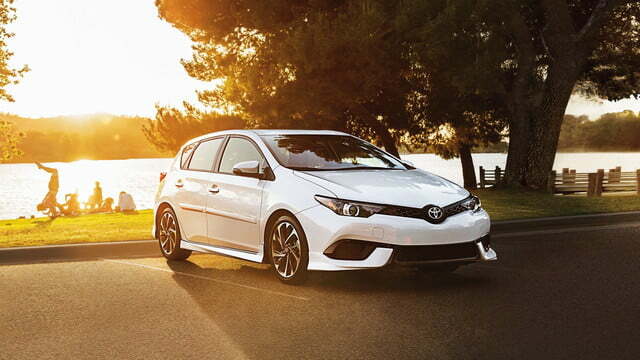 The hatchback Corolla iM’s 1.8L variation, in keeping with its light, sporty mantle, is tuned to produce 137 hp @6,100 RPM and 126 lb-ft @ 4,000 RPM. 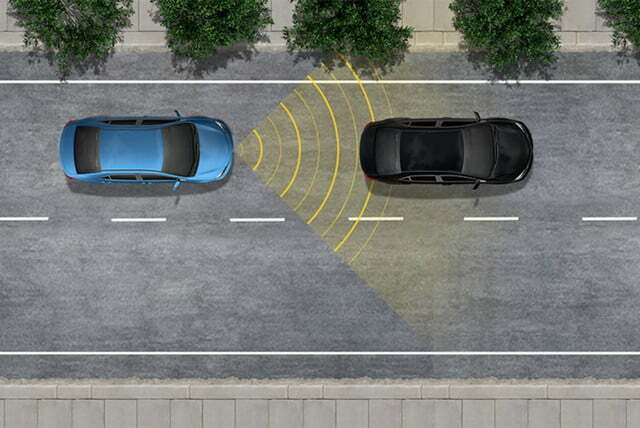 Driving safety tech abounds with the Corollas. 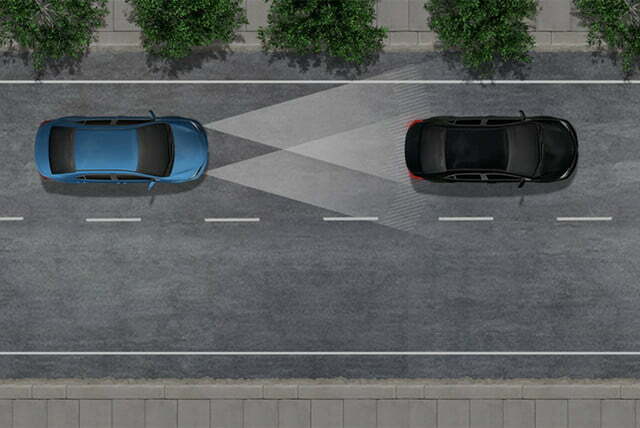 Standard Toyota Safety Sense P (TSS-P) on all Corolla’s includes a pre-collision system with pedestrian detection, lane departure alert with steering assist, automatic high beams, and dynamic radar cruise control. 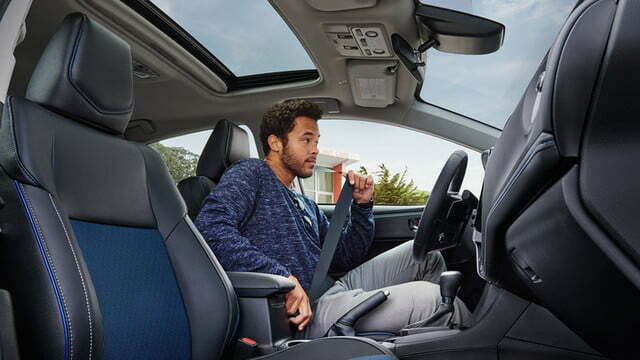 All trim levels also come with backup cameras with projected path guidelines, smart-stop brake-override technology, vehicle stability control, traction control, ABS, electronic brake-force distribution, brake assist tech, and electronic tire pressure monitoring. 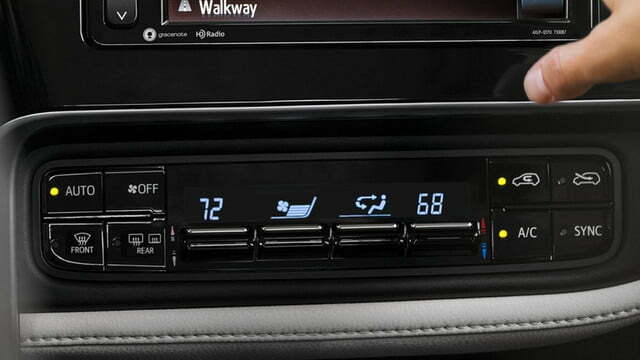 On the infotainment checklist, Corolla models have multi-information displays, USB and iPod connectivity, Bluetooth support, and audio systems with display screens. 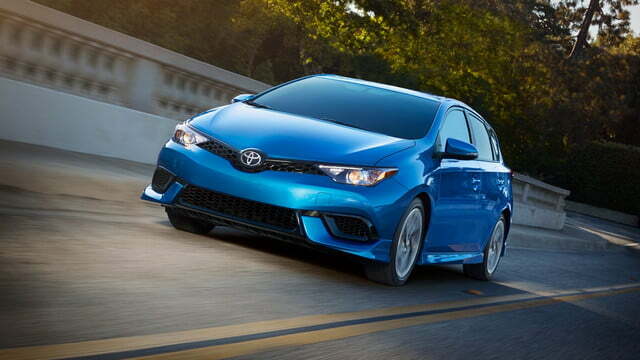 Which Toyota Corolla is best for you? 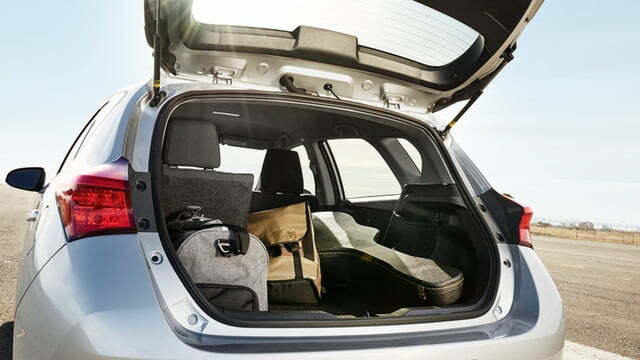 Straight from the factory, all 2018 Toyota Corollas are loaded with features. 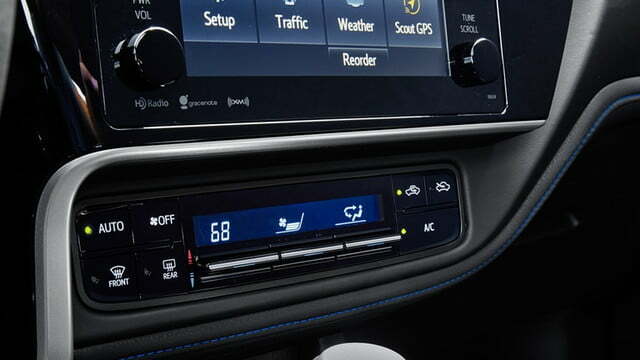 In the Corolla L and above you’ll find the above mentioned TSS-P and infotainment systems, and Corolla’s Continuously Variable Transmission with intelligence Shift (CVT-iS). 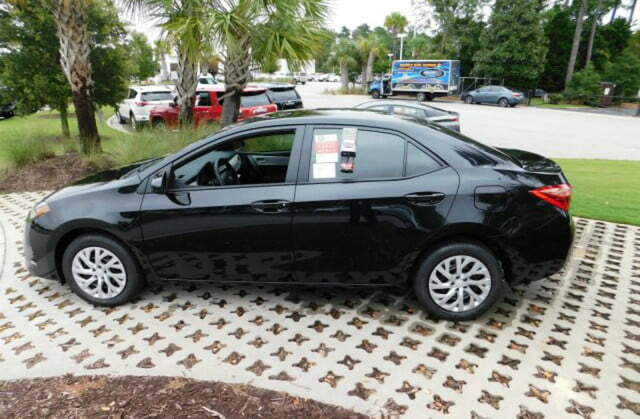 Only the Corolla SE and iM offer an alternative transmission, a 6-speed stick shift. 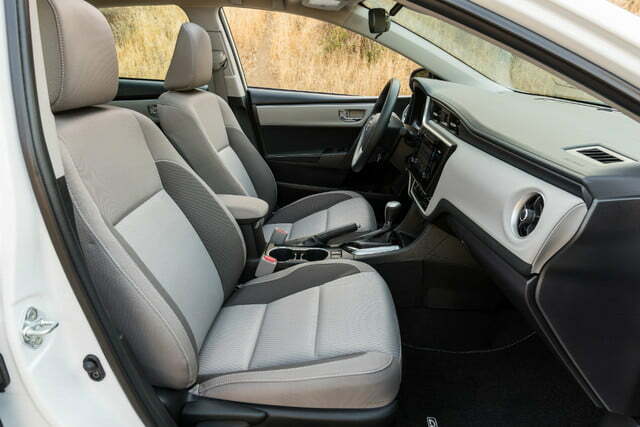 The Corolla models all have air conditioning with dust and pollen filtering, Bi-LED or multi-LED headlamps, 60/40 fold-down rear seats, 3-spoke steering wheels with tilt and telescoping columns, power windows and door locks, an overhead console with a map light. 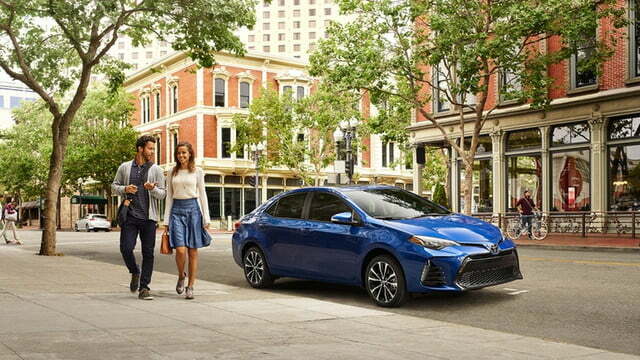 The four more traditional 2018 Toyota Corolla sedans include the base L trim ($18,550 starting), the slightly upgraded and most popular LE ($18,985 starting), the more significantly upgraded XLE ($21,985 starting), and the economically centric LE Eco (($19,385 starting). 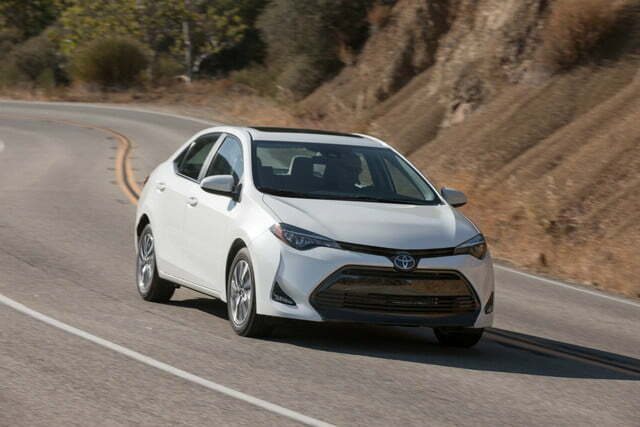 The Toyota Corolla L is underserved by calling it the “base” trim level. 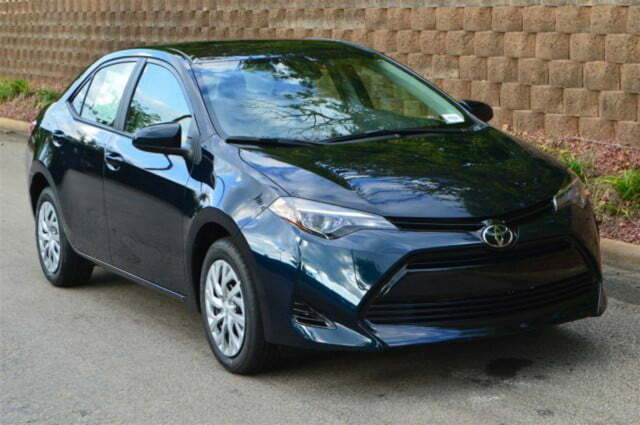 For a 2018 model vehicle packing all the technology, comfort, and convenience that comes with the “L” for under $20K, it’s more fairly described as the “most value-added Corolla.” The Corolla L’s manual AC, manual-folding black exterior mirrors, and 15-inch wheels are the most noticeable differentiators of the trim line. 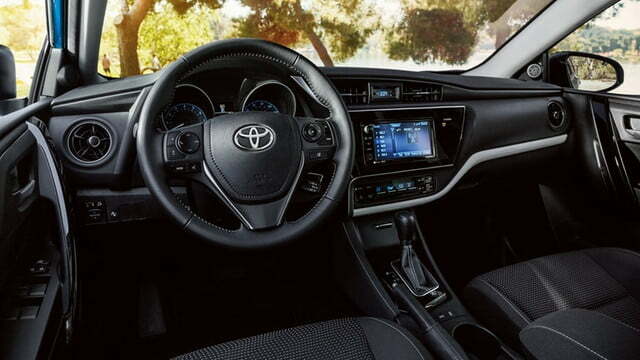 The Toyota Corolla LE gains upgraded interior fabric trim, remote keyless entry, automatic Climate Control, color-keyed heated power outside mirrors, and 16-inch steel wheels. It’s not a surprise most buyers would stop at the LE trim level, after all, the starting price is still less than $20,000. Toyota Corolla XLE piles on the upgrades. In addition to or instead of the LE’s features the XLE has multi-LED headlights, bumper-integrated LED daytime running lights, a power moonroof, and 16-inch machined alloy wheels. 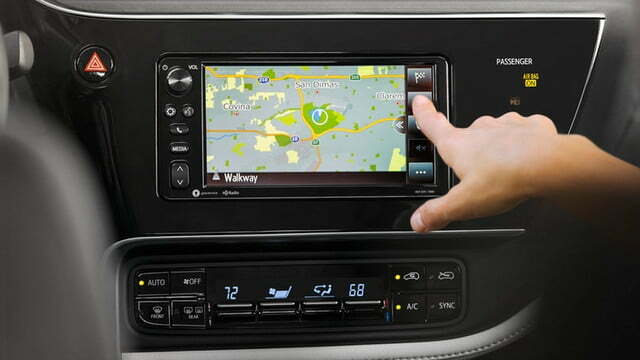 The XLE’s upgraded infotainment system includes the Connected Navigation App that works with smartphone Nav systems. 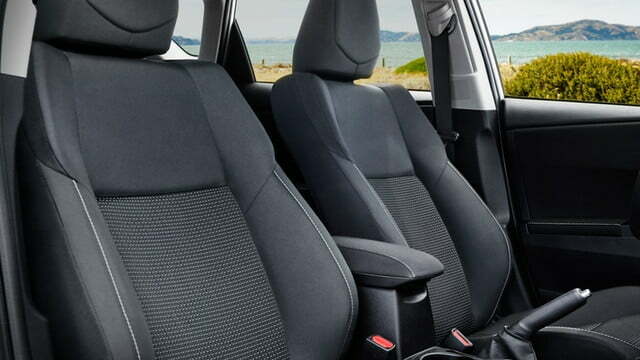 Heated SoftTex front seats with eight-way power adjustments for the driver and four-way passenger seat adjustments are standard. 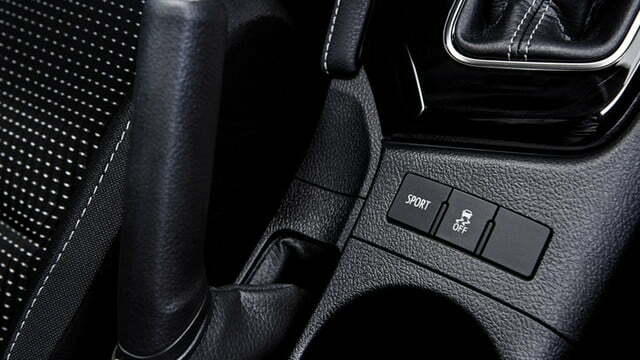 The XLE has a smart key system for the front doors and trunk, push-button start, and remote keyless entry. The economy-centric Toyota Corolla LE Eco doesn’t build on the XLE, but the LE. 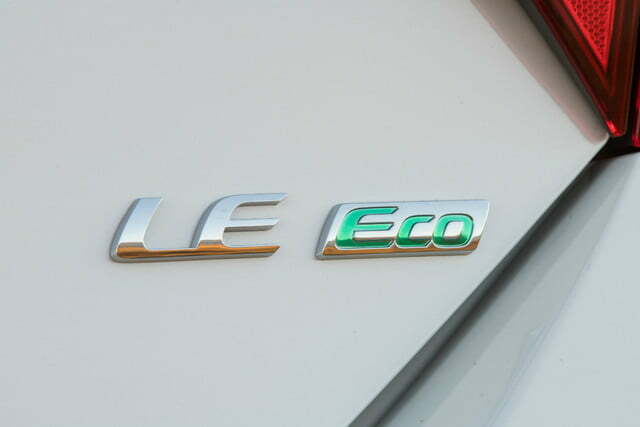 Additions or replacements for the LE Eco, in addition to the Valvematic tech engine, include a rear spoiler and 15-inch styled steel wheels. 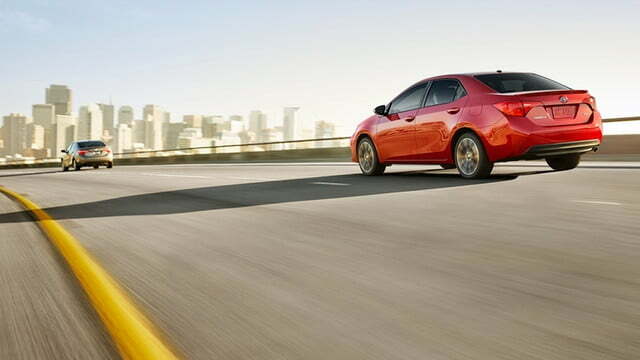 The “sporty” Corolla sedans come in three versions. 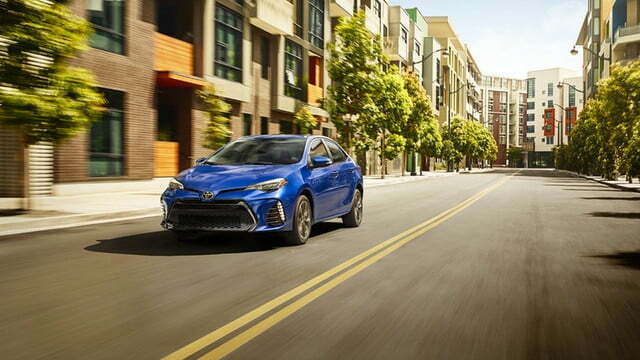 The 2018 Toyota Corolla SE CVT (starting $20,495) differs from the six-speed stick shift Corolla SE MT (starting $21,715) model in more ways than just the transmission type. 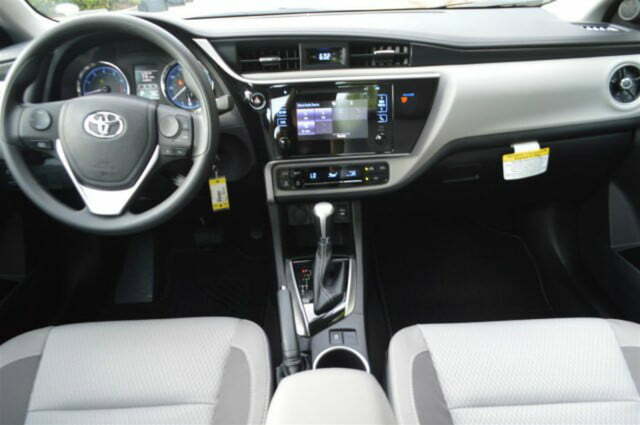 The most equipped Toyota Corolla XSE (starting $22.730) raises the luxury, comfort, and convenience bar even higher). 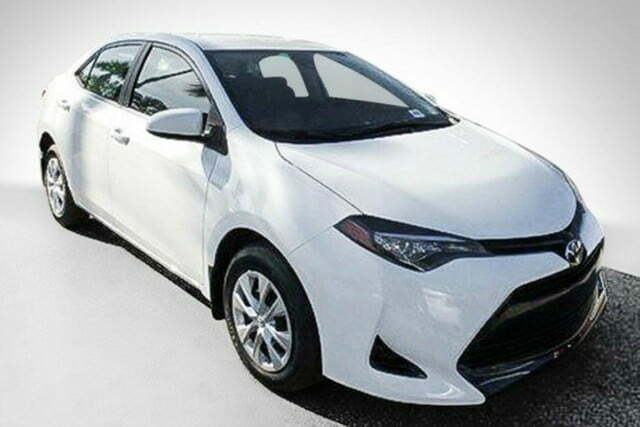 The Toyota Corolla SE CVT with the continuously variable transmission is not only the least expensive SE variant, it’s also an upgrade from the LE model. In addition to a more performance-focused engine tuning than the LE, the SE has multi-LED headlights, bumper-integrated LED daytime running lights, power folding heated outside mirrors with turn signals, a rear spoiler, a different front fascia, and 17-inch machined alloy wheels. The SE also has Sport and Normal driving modes, a 3-spoke leather-trimmed steering wheel with multiple controls, and a sport instrumentation cluster. 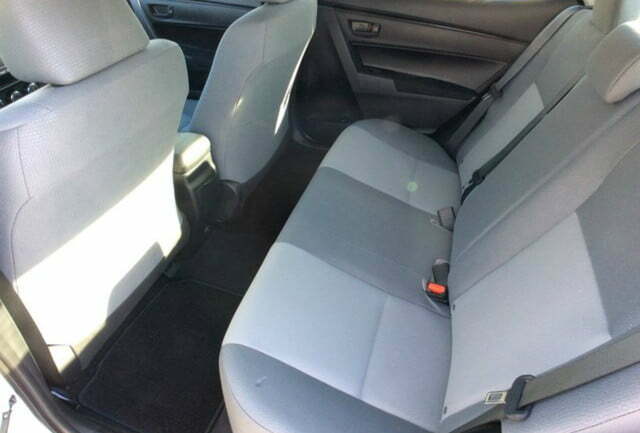 For an additional $1,220 you can move up to a Toyota Corolla SE MT, assuming you want the “feel” of a standard transmission. Gas economy takes a hit with the MT and the CVT’s Sport mode can probably shift faster than you can, but sporty rides aren’t only about numbers. 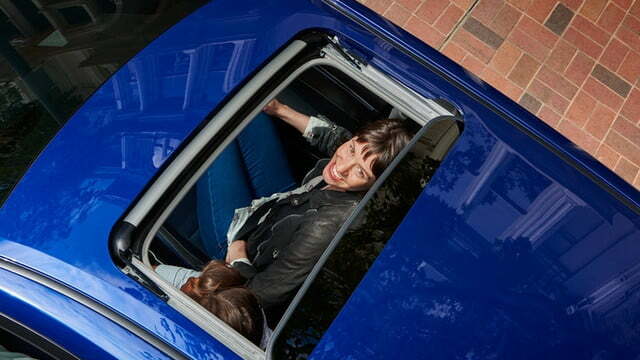 The other notable addition with the SE MT is a standard power tilt/slide moonroof with a sliding sunshade. 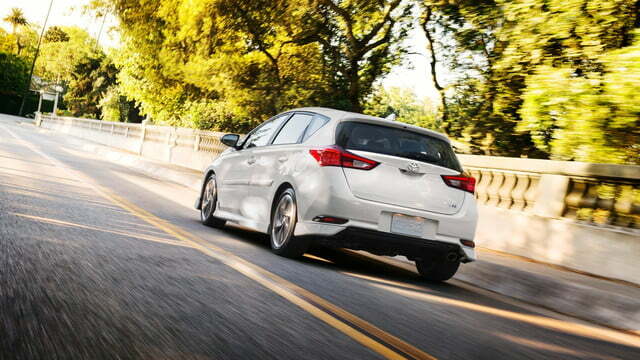 The Toyota Corolla XSE has the highest vehicle trim levels of the SE models. 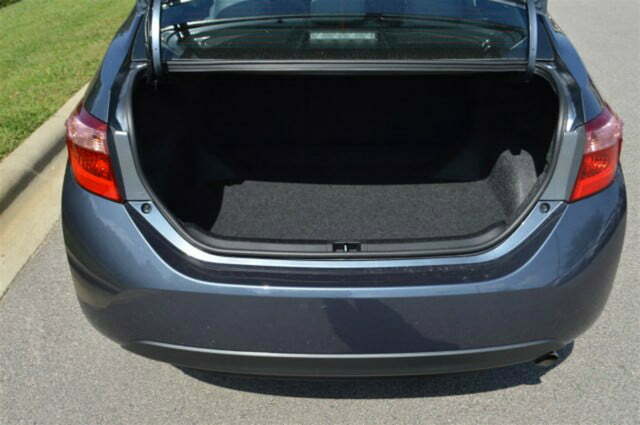 The XSE includes the same moonroof that’s standard with the SE MT, but it also has SofText-trimmed heated front seats. 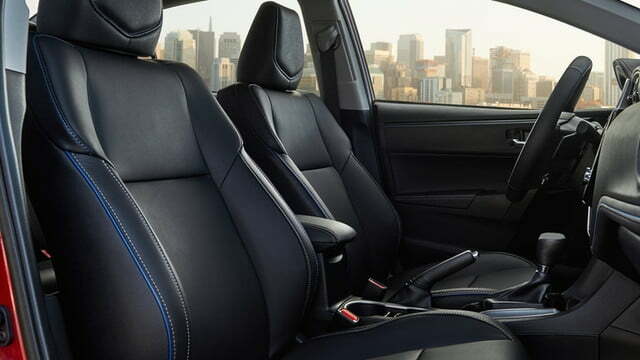 The driver’s seat is eight-way power adjustable and the passenger seat power-adjusts in four ways. 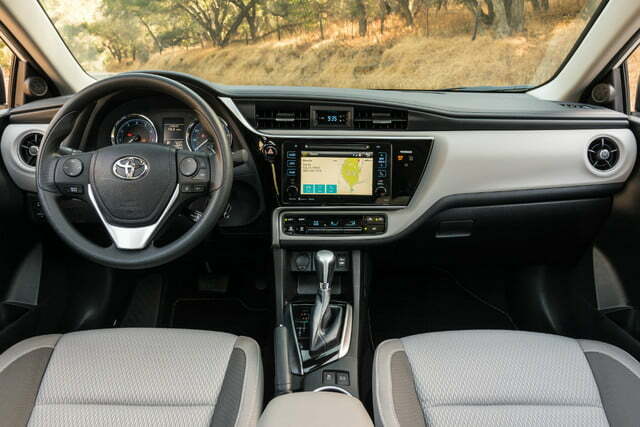 The XSE also includes Toyota’s Smart Key System to unlock the front doors and trunk, push-button start, remote keyless entry with lock, two-stage locking, and panic and trunk-release functions. 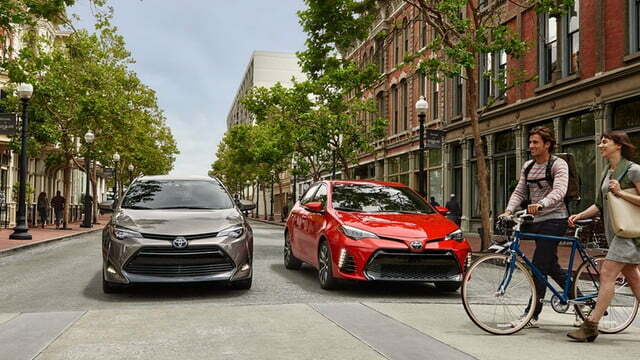 The 2018 Toyota Corolla iM hatchback models have styled-in sportiness. From an aero kit installed on the front fascia, side skirts, and rear bumper to the black honeycomb grille in the front and spoiler and chrome-tipped exhaust in the rear, the cues are evident. 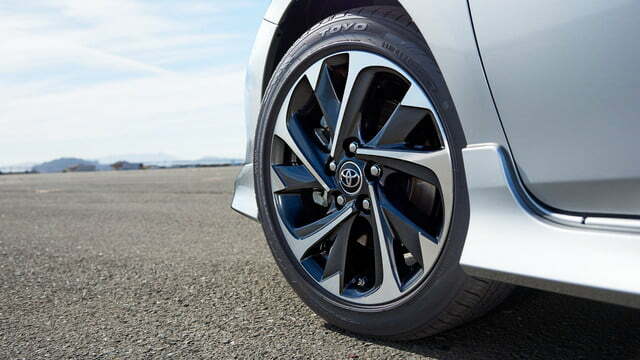 All Corolla iMs have standard 17-inch alloy wheels and MacPherson suspensions for more than just looks. 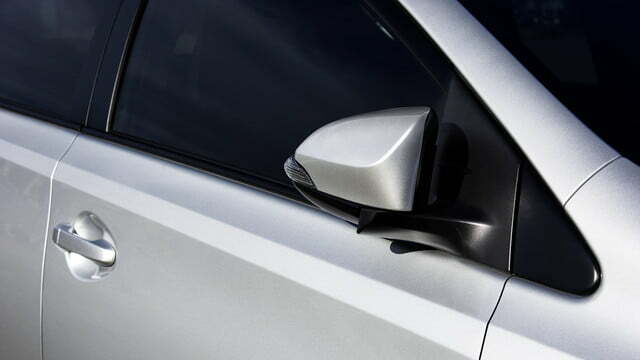 Power folding heated side mirrors are a surprise with a sub-$20K starting price. 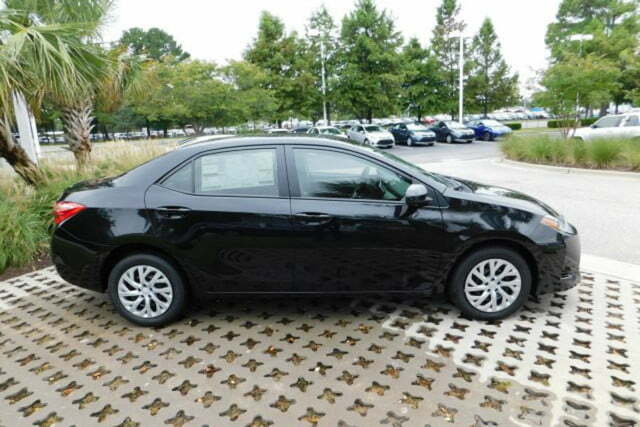 The only differences between the $18,850 starting price Corolla iM with a 6-speed manual transmission and the $19,590 starting price iM with a CVT are directly related to the transmission. The CVT model weighs 88 pounds more at 3,031 pounds than the 2,943-pound manual shift version. 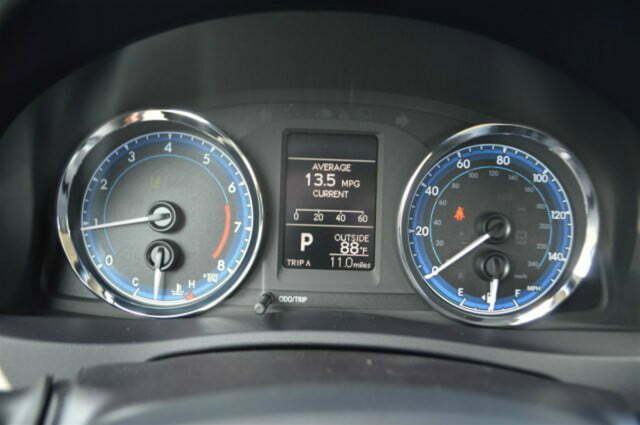 The CVT perhaps paradoxically has a 1 mile per gallon advantage in each rating category with estimated 28 mpg city, 36 mpg highway, and 31 mpg combined economy ratings. 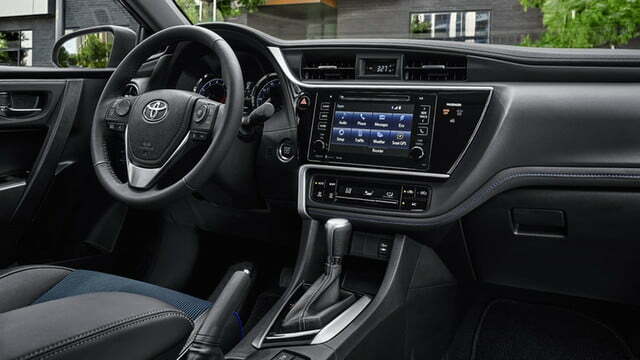 Dual-zone A/C, 60/40 split rear seats, a sport gauge cluster, and a dashboard with and black accents surrounding a 7-inch infotainment system touchscreen continue the value packed into the hearty hatch. 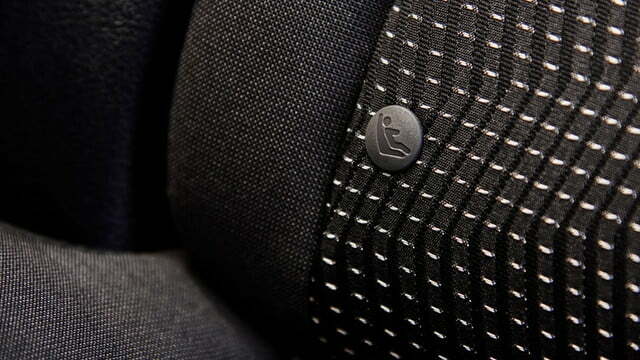 Deep bolstered front sport seats are designed to keep driver and front passenger in place. 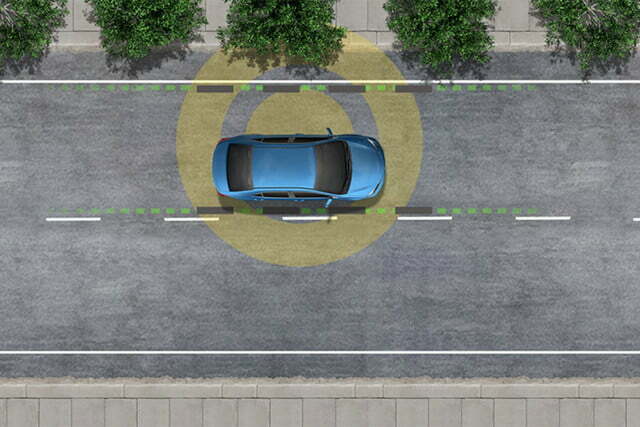 The full panoply of Toyota safety features are all present and accounted for. And then we get to the engine. 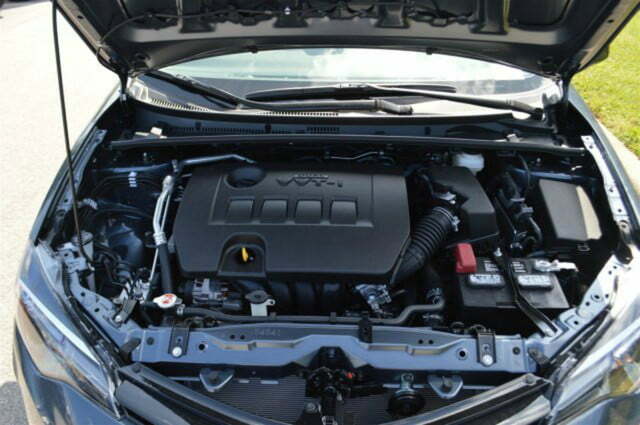 The iM’s version of the same 1.8L four-cylinder motor found in the other Corollas has 137 horsepower. We’re not talking a huge amount of power here, but with the improved suspension and big wheels, at least the iM should feel more responsive and better handling than standard Corolla models. 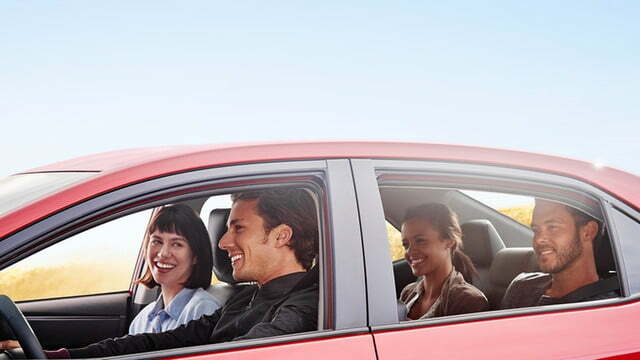 If you’re thinking about a new car and considering the Camry, don’t jump without checking the Corolla lineup. The seven gasoline-powered 2018 Camry model starting prices range from $23, 495 to $34,950. Three Camry Hybrid model base prices run from $27,800 to $32,550. The 2018 Corolla model starting prices start at $18,550 and top out at $22,730. There are no Corolla hybrid models for 2018 – the Corolla LE Eco is the most fuel-efficient/environmental-protective version. 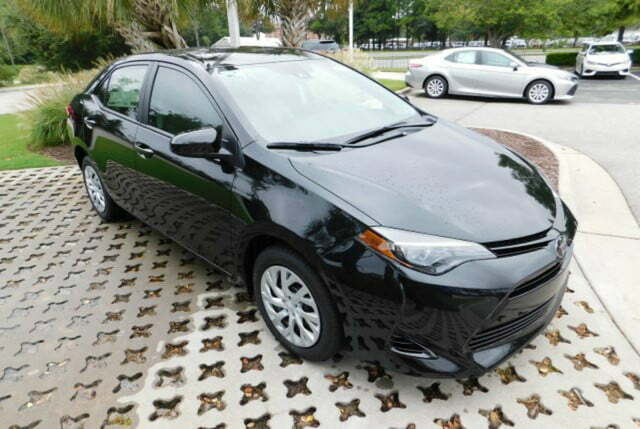 So even the most fully equipped Corolla starts off $765 less costly than the least-equipped Camry. 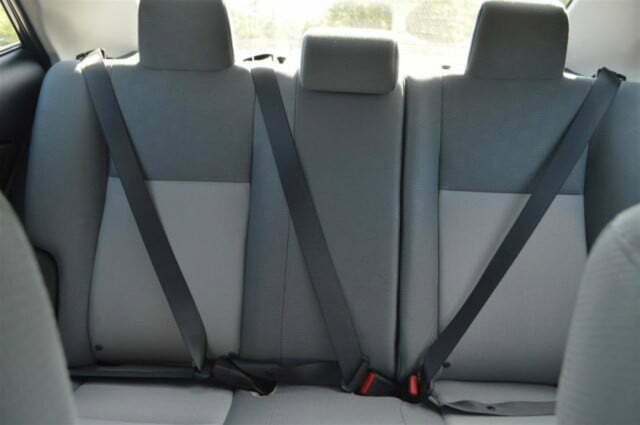 Camry and Corolla both include a boatload of standard safety features, so there’s no compromise on that end with the smaller car. If operation costs drive your car buying decisions, the difference in fuel consumption between Camrys and Corollas is not that great, at least in Camry’s with the standard 4-cylinder engine. All Corollas have four-bangers. 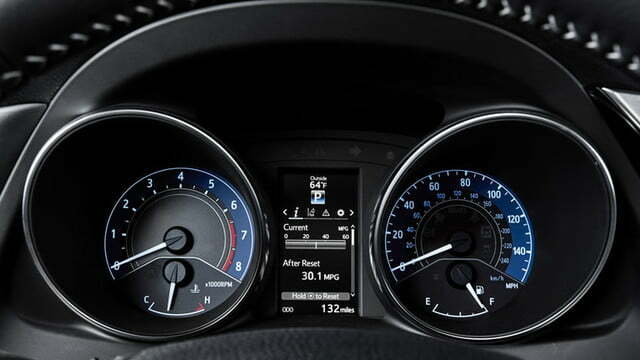 Forgetting the Camry V6 models for a second, 4-cylinder Camry and Corolla mile per gallon ratings are generally in the high 20s in city driving, mid to high 30s on the highway, and in the low 30s for the combined mpg rating. Camrys score a bit better mileage-wise than Corollas on the highway, hitting high 30 mpg averages versus the Corolla mid 30s rating average. Ratings for V6-equipped Camrys drop back ten years with fuel consumption ratings in the low 20s, low 30s, and mid-20s for city/highway/combined ratings. The V6 engines provide higher performance than the 4-cylinder motors, but who really buys a Camry or a Corolla for its acceleration or top speed? 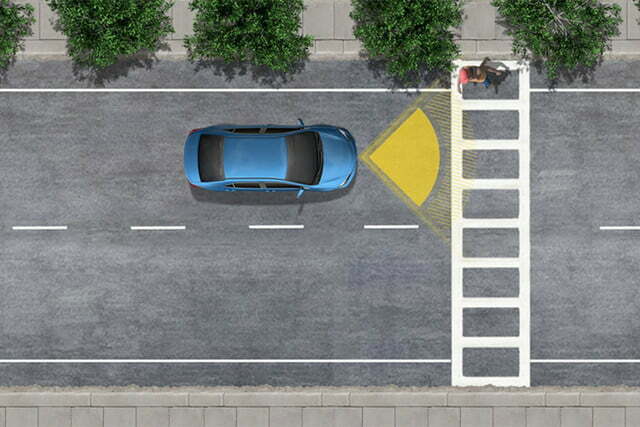 All models of both cars have sufficient power for normal driving. As the table below shows, 2018 Corollas are a bit smaller and lighter than Camrys, but not by much.